New Products | Marktec Products Inc.
Squid Ink’s 100% mineral oil free inks are designed as a direct replacement for petroleum-based inks for use on porous substrates. 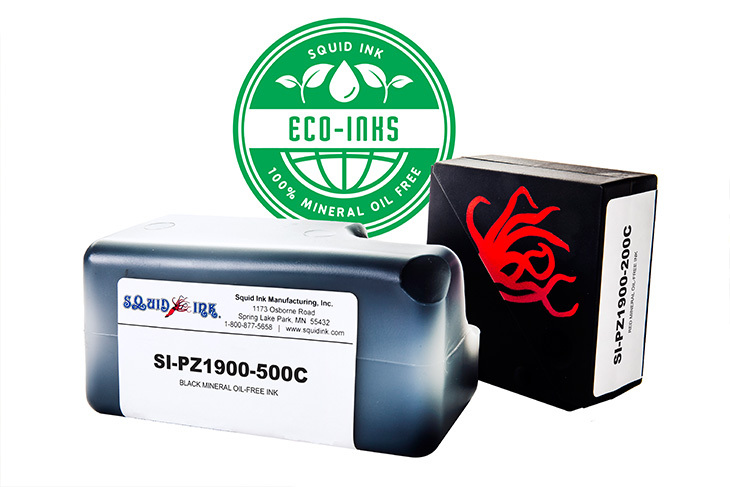 As a response to European food safety regulations, Squid Ink formulated inks with near zero volatile organic compounds (VOC’s), zero hazardous air pollutants, and no hazardous ingredients. MOF inks reduce the risks associated with mineral oil ink contamination in the food packaging industry. Squid Ink’s line of mineral oil free (MOF) inks are approved for use in Xaar 128 and 502 printheads, including Squid Ink’s CoPilot and AutoPilot family of printers. MOF inks for porous substrates offers low-maintenance performance, ensuring maximum production uptime and print performance.